GST will have the following TAX Slab Rates (5, 12, 18, 28). It varies based on the Restaurant Products and also their revenues. The information for TAX Slab Rates should be obtained from the Customer. As per the Rules, Ticket Number should also be a separate running number for each department. Currently, Tax Slab Rates are divided equally between SGST (State GST) and CGST (Central GST). There are two types of customers we have. 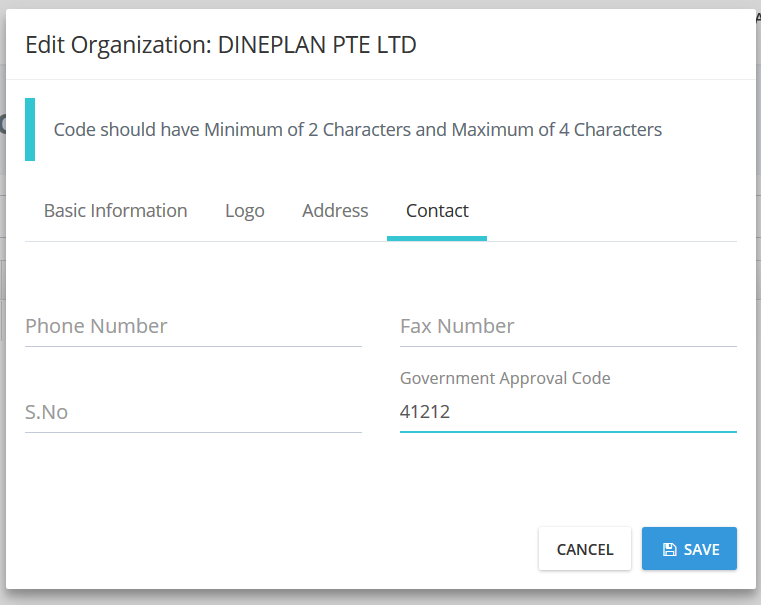 Here is the Common installation procedures at DinePlan side for above two customers. Taxes has to be created (SGST, CGST). New URL will be provided with all their Masters except the Tax Mappings. All the Sales and Inventory Transactions information will be deleted. The customers has to be update their Opening Stock whenever they require it. Old Url will be accessible for a month for the Customer to check their old information. Change the URL at the DinePlan Side to take Effect. Its mandtory for all the MenuItem should have the HSN Code. Here it is the place to update it.